* In accordance with the non-discrimination policy of the Ohio State University and the College of Nursing, we strictly prohibit any discrimination based upon age, color, ethnicity, race, sexual orientation, gender, gender identity, national origin, religion, pregnancy, or veteran status in its application, admission, or enrollment practices. Applicants with any undergraduate degree may apply to the MACPR program. 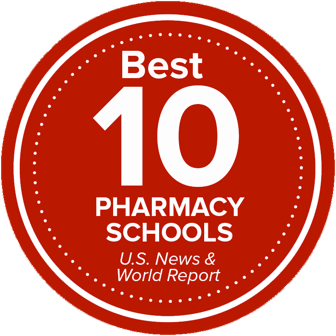 For the MS Pharmacology program, a clinical, health science or bioscience degree is preferred. If an applicant has attended more than one university, all GPAs will be combined. Official GPAs are calculated by the university's Graduate and Professional Admissions Office. No prerequisite coursework is required for the MACPR program. Applicants to the MS Pharmacology program not holding a bachelor’s degree or higher in a clinical, health science or bioscience field are encouraged to complete coursework in biology, chemistry and physiology before entry to the program. Students must complete an online application at the Graduate and Professional Admissions Application website. The materials listed below must be uploaded to the online application. Note: students who have taken classes in or completed a graduate-level (degree-granting) program at Ohio State should complete the online application for previously enrolled students. Contact Nikki Herbert with any questions. Compose an essay describing your purpose for undertaking study in this graduate program, including a narrative discussion of your professional experience and career trajectory. This statement should not exceed two single-spaced pages. The purpose and goals statement is an opportunity to address each of the questions listed below, and also to demonstrate your writing skills. Consideration will be given to both the quality of your writing sample and the congruence between your stated goals and the master's degree program. What are your motivations for seeking advanced education in your designated specialty area? How did you come to your decision to seek graduate education in this specialty area? What are your primary personal attributes and what is the relationship of these attributes to your potential as a clinical/preclinical research professional? Three letters of recommendation from individuals who are familiar with the applicant’s academic ability, work experience, contributions to clinical and preclinical research (if any), and potential to succeed in the program. Each recommendation should include a letter signed by your recommender and written on academic or business letterhead stationery. Recommendations should be requested from professors who are able to comment on your qualifications for graduate study. Recommendations from non-academic professionals are acceptable if you have extensive work experience with that individual and/or you have been away from academic institutions for some time. Submit an official transcript or a scan of an official transcript from every college and university you attended, whether or not a degree was earned. Ohio State University transcripts need not be submitted. Visit the Graduate and Professional Admissions Transcripts webpage for detailed instructions. We welcome students who wish to enroll in individual courses. Non-Ohio State students may apply as Graduate Non-Degree students. Email Nikki Herbert for more information.